Qualtrics, the leader in Experience Management software, filed for a $200M IPO (placeholder amount). The company plans to trade on the Nasdaq under the symbol “XM” and Morgan Stanley is leading the IPO. Qualtrics says they have created a new category of software that “enables organizations to succeed in today’s experience economy” and their mission is to “help organizations deliver the experiences that turn their customers into fanatics, employees into ambassadors, brands into religions, and products into obsessions.” The company’s solution helps organizations to measure, prioritize, and optimize the experiences they provide to customers, employees, and other constituencies and do this across 4 main areas: customer experience, employee experience, brand experience, and product experience. The company’s XM Platform is used by over 9,000 customers across 100+ countries globally and ~50 million distinct responses are generated each month in the product. Qualtrics is based in Provo, UT and has 1,915 full-time employees. The company was founded in 2002. Research Core: A collection of research tools to build and distribute data collection systems, aggregate and analyze data, build reports, and draw insights. Customer Experience (CX): Enables understanding of customer sentiment throughout every customer journey allowing organizations to monitor, measure, and take action in experience gaps. Employee Experience (EX): Allows managers and employees to identify gaps in the employee experience from recruiting and onboarding to performance management in order to improve employee engagement, raise productivity, and limit attrition. Brand Experience (BX): Identifies key drivers of brand perception, including psychographic information, marketing effectiveness, and competitive positioning. Product Experience (PX): Facilitates the aggregation and analysis of feedback to identify and isolate the features and experiences that drive product differentiation and quality and permit more informed pricing and packaging decisions. 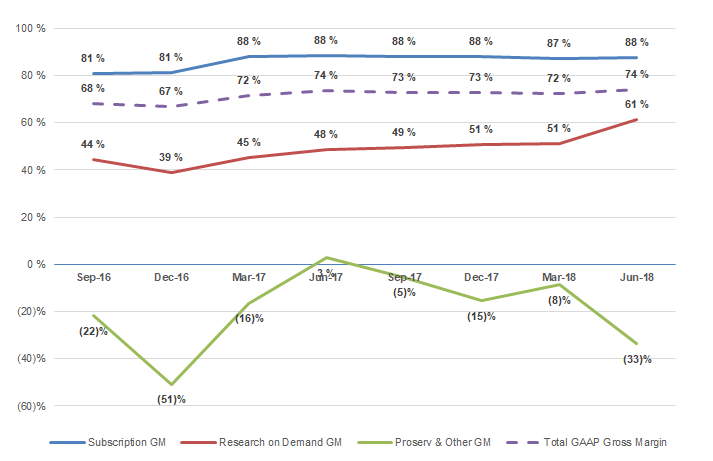 Research on Demand: Software-led market intelligence where customers can get responses from curated respondents. iQ: All solutions are powered by their predictive intelligence engine, iQ. It includes iQ Directory (contains all experience data collected over time), Text iQ (natural language processing / NLP to analyze unstructured and text data), Stats iQ (statistical analysis of experience data), and Driver iQ (uses financial impact and regression analyses to recommend organizational improvements that drive the highest ROI). Qualtrics also has API integrations into leading enterprise applications like Adobe Analytics, Marketo, Microsoft Dynamics, Salesforce, Slack, Tableau, and Zendesk. Users can configure workflows in Qualtrics Actions that automatically trigger events and send emails, create tickets, or ping any third party service for immediate action. 9,000+ customers globally, including over 75% of the Fortune 100 and over 30% of the 2018 Global 2000. The average ACV (implied ARR / total customers was $32K last quarter). Over 98% of subscription agreements have a subscription period of one year or longer. 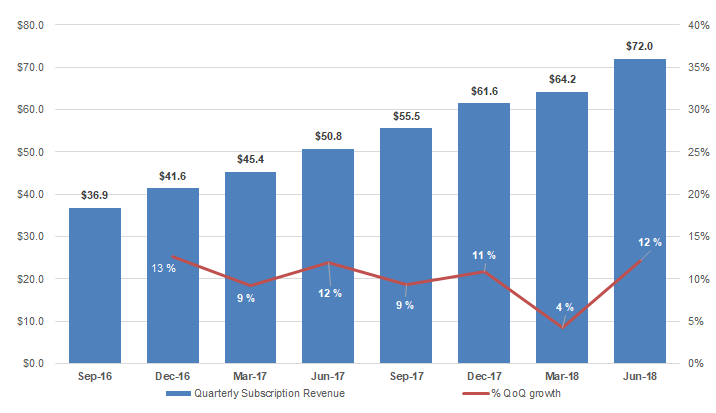 Large customers, which the company defines as more than $100K in ACV (annual contract value), represented 52% of subscription revenue for the first 6 months of 2018. Their largest customer accounted for less than 2% of revenue for the year ended December 31, 2017. Qualtrics now powers over 57,000 dashboards for Walmart’s managers to track employee experience. The company got their roots in academia and estimate that more than 2 million academic users have been introduced to Qualtrics as students or researchers. 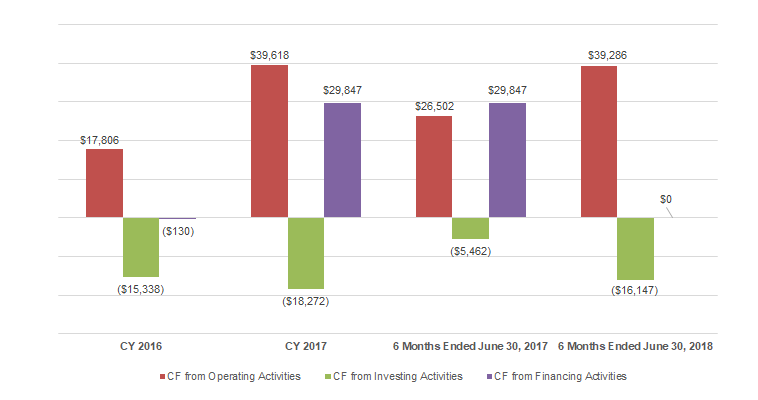 For the six months ended June 30, 2018, 22% of total revenue was from international markets. The length of sales cycles is generally ~ 6 months and for enterprise, government, and international customers it can be longer. Qualtrics has steadily grown and has been free cash flow positive in each and every one of their 16 years as a company. All primary capital raised remains unspent and still on the balance sheet. 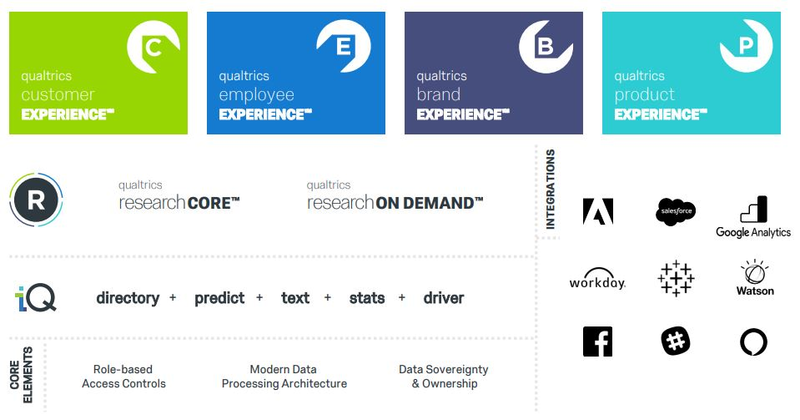 Corporate use of Qualtrics’ software is driven largely by four core use cases: customer, employee, brand, and product related feedback and research. Since 2015 Qualtrics has maintained average up-time of 99.89%. As of September 30, 2018, the company had 121 registered trademarks and 64 pending trademark applications worldwide. The company had ~7,000 attendees at their X4 Summit in March of 2018, their annual customer conference. The company mentions Boards have taken notice of experience metrics and now tie C-level compensation to key metrics that demonstrate success at closing “experience gaps” (difference between the experience an organization believes they are delivering and the actual experience delivered), such as customer satisfaction, product net promoter score, customer churn, employee engagement, and leadership approval. Qualtrics has both an inside and field sales team as well as a partner network called Qualtrics Partner Network, or QPN, for joint go-to-market opportunities. Customers can also sign up for free trials on their website. The company prices and packages the software based on the capacity and functionality needs of customers — including the volume of expected responses, number of users accessing the platform, number of employees, and level of functionality provided, such as dashboards, iQ functionality, and integrations. Nearly all contracts are 1 year in length and some are multi-year. Historically, many of their customers started with a general use case in the form of their Research Core platform, but now also land with any of their four integrated solutions. The company says direct sales for larger enterprises is a more recent focus. Qualtrics believes their TAM (total addressable market) is ~$44B in 2018. The company doesn’t offer market research for specific TAM numbers but takes all global companies greater than $50M in revenue (as well as governments, K-12 academic institutions in the United States, and international post-secondary academic institutions) and applies an ACV to those organizations based on current company figures from those respective segments. The company believes experience management is a new software category and that no other competitors offer a solution that is robust enough to compete with the full functionality of their XM platform. With that said, they call out companies like Medallia for customer experience, traditional marketing research firms such as Aon Hewitt and Towers Watson, and self-serve feedback solutions like SurveyMonkey which also just went public. For example, LinkedIn just acquired Glint, which operates in the employee engagement space and could compete with the Qualtrics Employee Experience product. According to Pitchbook, the company has raised $400M to date in primary and secondary capital from investors including Sequoia, Insight, and Accel. Accel owns ~16.4%, Insight ~15.4%, and Sequoia ~10.4% on a pre-offering basis. Ryan Smith, CEO and co-founder, Jared Smith, President and co-founder, and their father Scott Smith (who is also a co-founder and sits on the Board) own ~45.5% of the company. The Smith family sold ~$75M of stock in early 2017. The company raised a $180M series C led by Insight and Accel in April of 2017 at a $2.5B valuation, according to Pitchbook. Qualtrics has also acquired two companies — Statwing in May 2016 and Delighted in March 2018. In aggregate they paid $9.5M for both. 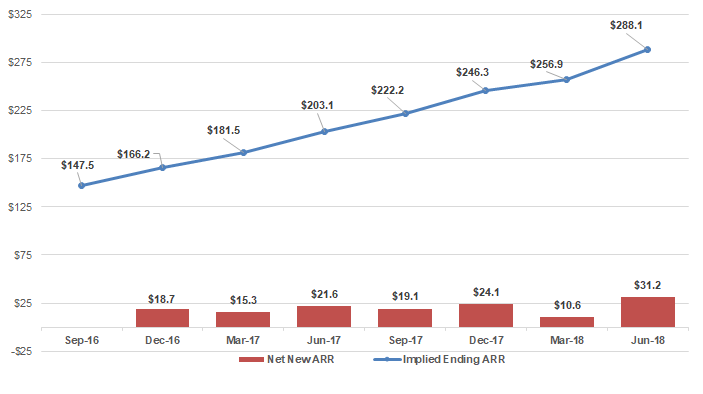 Qualtrics is an efficient business — they’re growing their implied ARR by 40%+ YoY while free cash flow positive at almost $300M in ARR. They have also never spent any of their primary capital. As of June 30, 2018, their net retention rate was 122% overall and for customers in the 2017 Global 2000, their net retention rate was much higher at 143%. 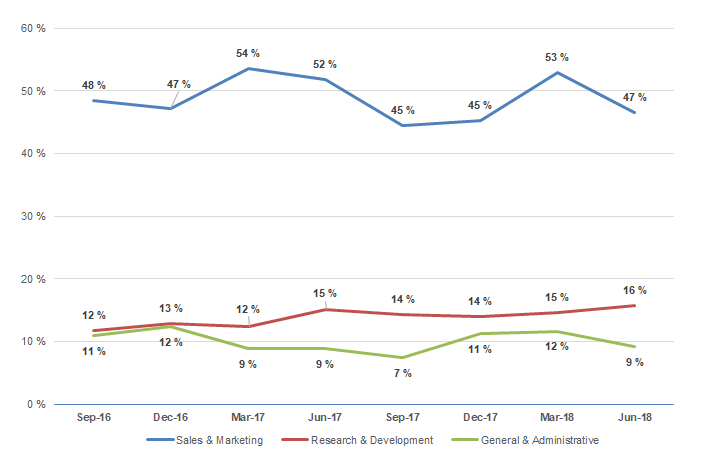 In terms of sales efficiency, their months to payback using a CAC ratio (implied net new ARR * gross margin / sales and marketing spend of prior quarter) was at a 25-month median over the past 7 quarters. Qualtrics has $135.6M of cash on their balance sheet. Qualtrics has added $31.2M of net new implied ARR last quarter and $85.0M over the past year. 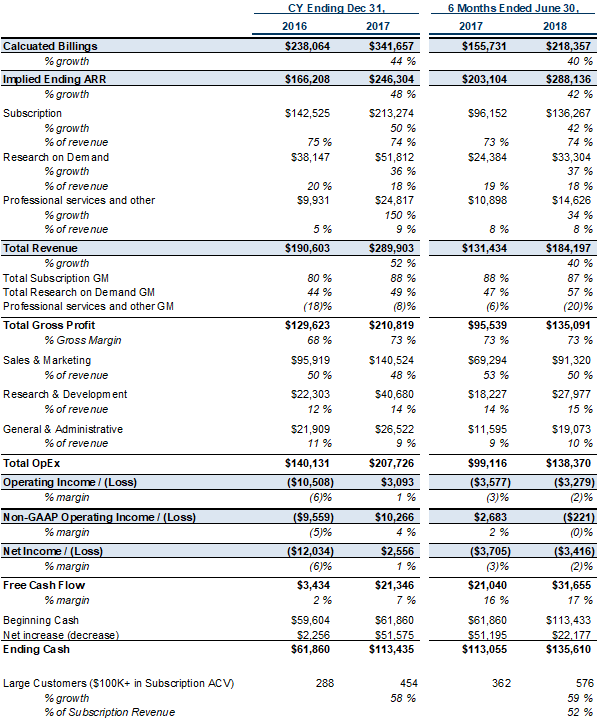 ~75% of Qualtrics revenue is subscription-based. Even though Research and Demand revenue isn’t recurring, it’s still a 50%+ gross margin business for Qualtrics. 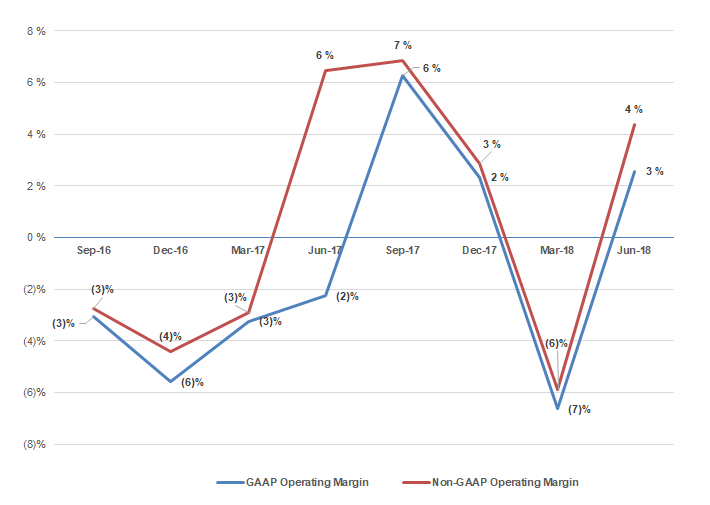 Overall gross margin is in the mid-70's. 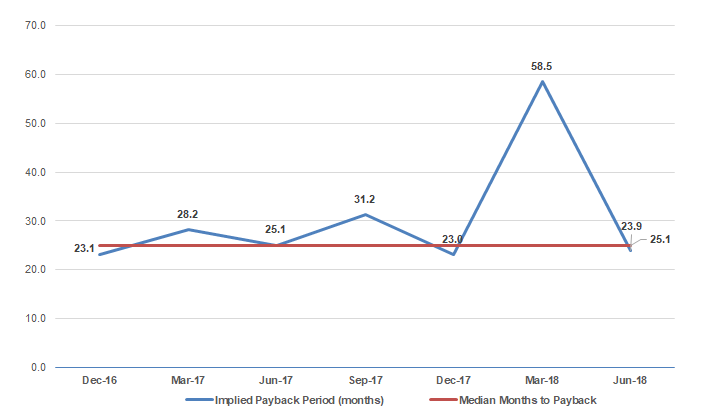 Qualtrics doesn’t release customer counts by quarter, but the below output plots their implied months to payback using a CAC ratio (implied net new ARR * gross margin / sales and marketing spend of prior quarter). The median is 25 months. 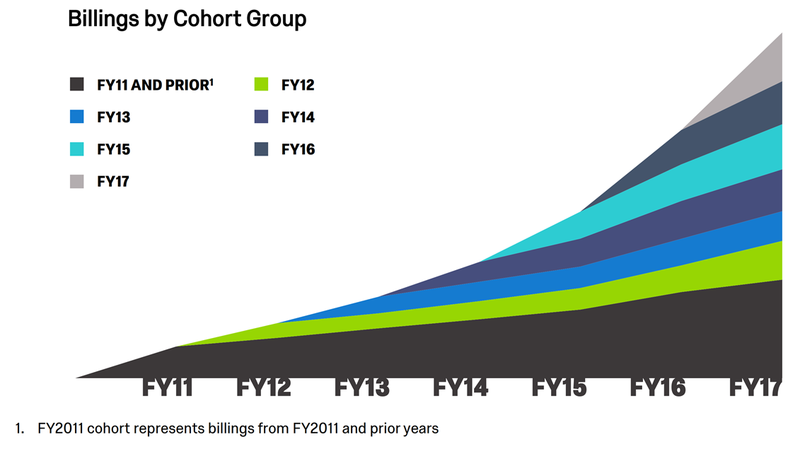 Qualtrics releases some cohort data on their customers — they expand meaningfully over time. In this output, the 2014 cohort includes all customers that purchased their first subscription from between January 1, 2014, and December 31, 2014. 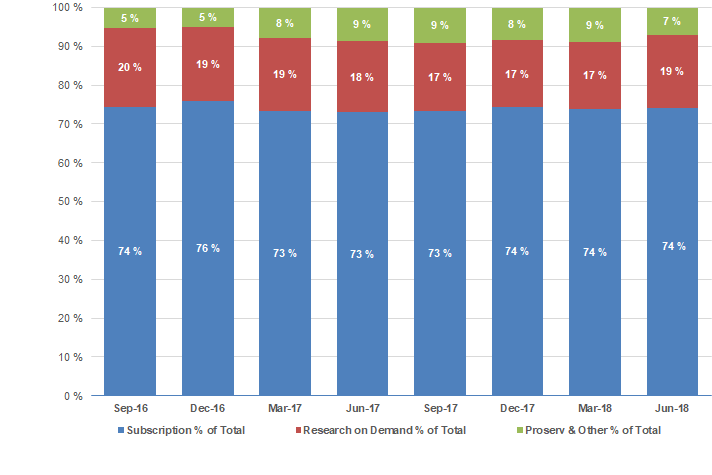 Subscription billings from customers for the 2012 cohort, 2013 cohort, 2014 cohort, 2015 cohort, and 2016 cohort in 2017 represent an increase over each cohort’s initial aggregate subscription billings by 2.6x, 1.8x, 2.1x, 1.7x, and 1.2x, respectively. Qualtrics is likely to be valued on a multiple of forward revenue given their high growth, even though they are generating cash flow. The output below uses NTM (next-twelve-months) revenue as a proxy based on an illustrative range of growth rates (companies do not release projections in S-1's). 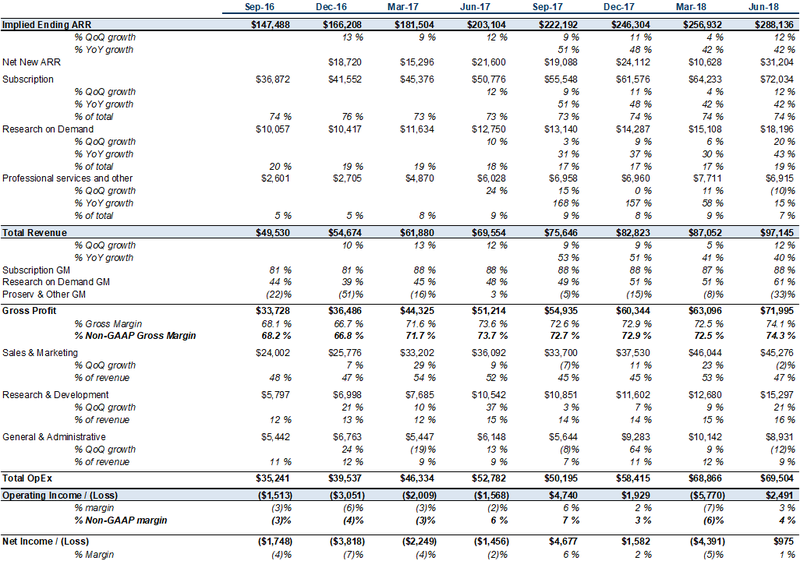 The output also includes an ARR multiple range based on those same public, high-growth software companies. While high-growth SaaS/cloud multiples have come down over the past 4–6 weeks, companies like Zscaler (16.3x), Okta (14.9x), MongoDB (14.1x), Coupa (13.5x) and Veeva (13.4x) are still trading well above 10x NTM revenue (as of 25-Oct-2018). Qualtrics is likely to trade significantly above their last private valuation of ~$2.5B in April of 2017 based on current public comps. Qualtrics is a market leader is an increasingly important market — companies of all sizes need to understand how their customers, employees, and end-users feel about their experiences, and the company has solutions that span across customers, product, brand, and employees. Qualtrics can also unify all of this data to give organizations a single pane of glass view. 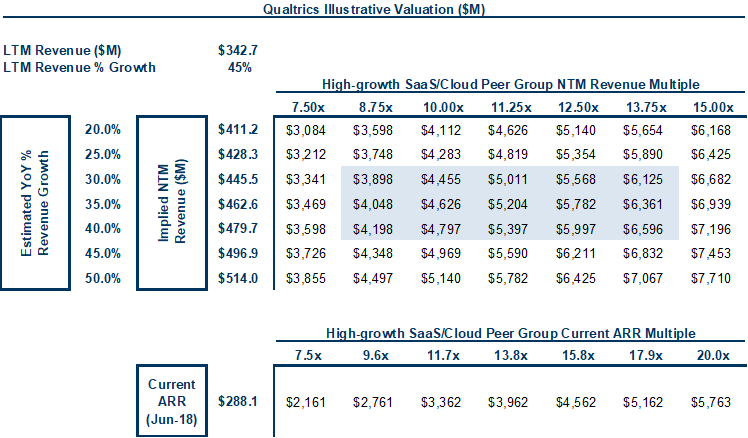 Given their positioning in the market, growth and scale, unit economics, and cash flow generation, Qualtrics is a premium SaaS company and should have a very successful IPO. Looking forward to seeing them trade as a public company.